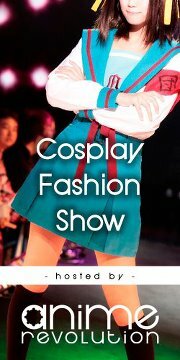 Anime Revolution is hosting a Cosplay Fashion Show at the World-famous Richmond Night Market on June 29, 2012. The organizers are looking to find 20 models to promote the convention and everyone’s favorite art form. Entries can be sent by email to s.h.j-@hotmail.com, and the deadline is June the 17th.